Amazon has paved the way for the long-awaited launch of its Kindle e-reader in China after the company quietly launched Chinese versions of its Kindle apps for iOS and Android and a localized Kindle electronic bookstore. The Amazon Kindle iPhone and iPad app launched in the Chinese App Store on Wednesday and the Android version is available for download from Amazon’s website. The arrival of this content — which is the source of monetization behind the Kindle, since Amazon sells the device with little mark-up — is the strongest hint yet the Kindle will arrive in China, a launch that has been speculated for more than a year. The new Kindle store on Amazon has lots of affordably-priced Chinese e-books, but it doesn’t look to have been hooked up to the international Kindle selection quite yet. Even so, the company boasts selection of “tens of thousands” of books on its website. Evidence of an upcoming Kindle launch in China has been piling up for sometime, eventually coming to a head in November. However, Amazon is rumored to have been held up because of complications with its Cloud Drive product needed to launch its e-readers. 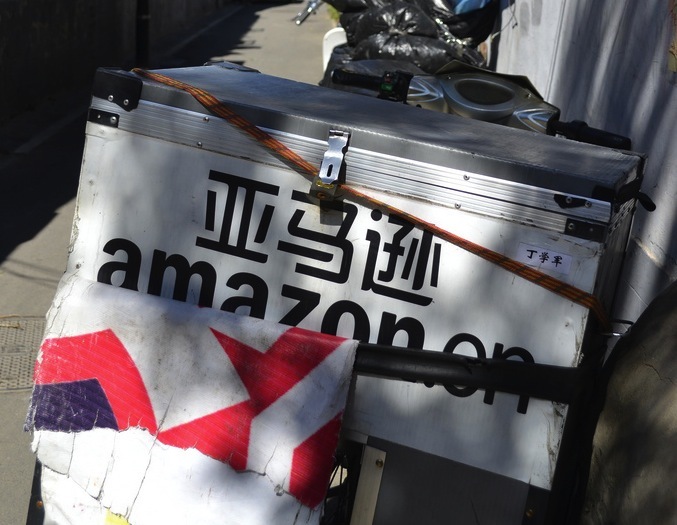 The online retail side of Amazon’s China business has done well for itself, but it hasn’t attained the dominant position that it holds in the US. The stickiness of the Kindle platform could give Amazon an advantage against its competitors. E-books are already quite popular in China, so the market may be mature enough for Kindle to catch on. And, given the country’s massive size, it could bring a sizable revenue windfall in the process. TNW has contacted for Amazon for comment about its plans to bring Kindle e-books and e-readers to China. Amazon has been known to quietly roll out its Kindle platform ahead of a full-fledged launch. Last week, the Kindle Store went live in Canada and Brazil, but with no devices in sight. The Kindle platform has been gradually coming to Asia. It arrived in India in September and Japan in October.